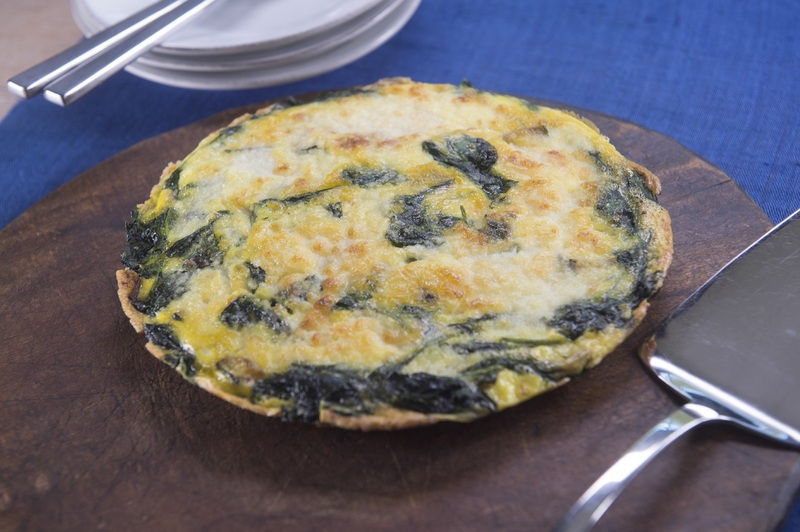 Laura Vitale’s frittata is a versatile Italian egg dish that can be served anytime. Consider this delicious dish if you’re looking for a fancy twist to your regular omelette. Vitale is an Internet sensation, and having been raised in Italy, she specialises in Italian cooking and is taught by her grandmother over the phone! She is the host of Simply Laura where she shares recipes for simple yet hearty meals. The second season premieres on Apr 16 at 10.30am and 8.30pm on Astro Ch 703 (Asian Food Channel). Recipe and photo courtesy of Laura Vitale. In a small bowl, mix together the crème fraiche, Parmesan and lemon zest. Sprinkle with black pepper and set aside. In an 8-inch oven-safe nonstick skillet, melt the butter over medium heat. Add the zucchini, season with salt and pepper and sauté until the zucchini softens and develops some color, about 5 minutes. Add the spinach and cook long enough for the spinach to wilt. Spoon the crème fraiche mixture on top of the eggs and pop the skillet in the oven. Bake until puffed and golden, about 8 minutes. Cut into 4 wedges.